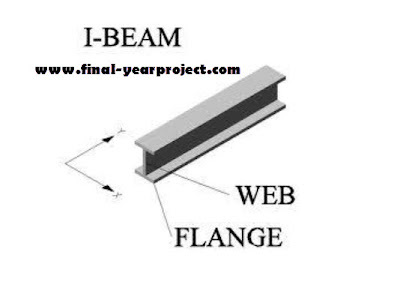 This is a Civil project report on "Study of Flexural Effect on Laterally Unsupported Beams". Is 800:2007 discusses about bending of laterally unsupported beams and how the laterally unsupported compression flange is affecting the bending stresses. It discusses very little about tension members because steel is strong in tension and weak in compression. You can also Subscribe to FINAL YEAR PROJECT'S by Email for more such projects and seminar. Flexural members or bending members are commonly called beams. Beams are structural members that support loads which are applied transverse to their longitudinal axis. These loads are transferred to the columns, walls, girders, which then transfer these forces to adjacent compression members. Because of these external loads, bending of beam may take place. Use this as a reference material for your project.